Carmichael-Tanaka's play helped the Raiders reach the state tournament for the third consecutive year. 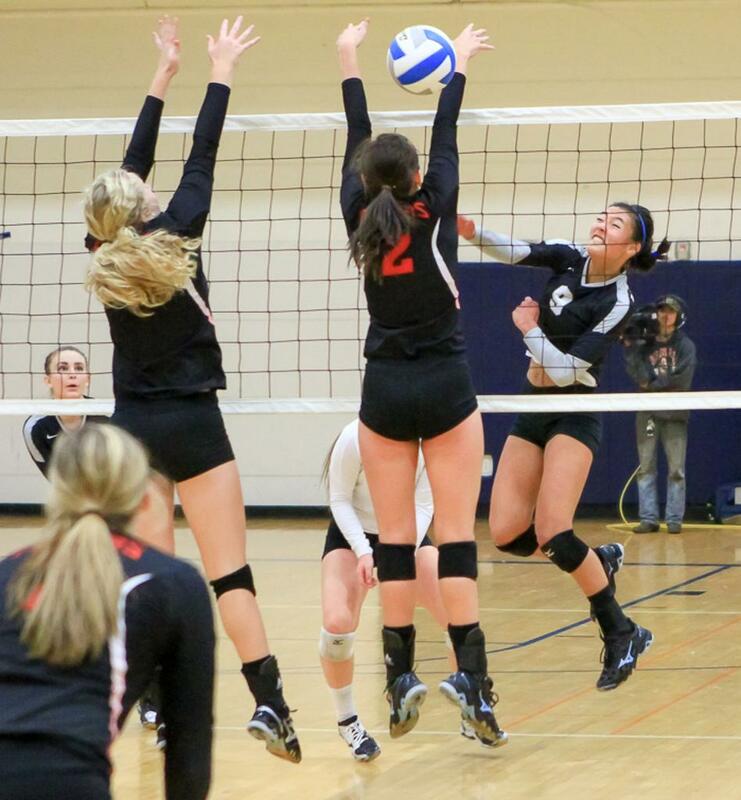 Roseville's #9 Nina Carmichael-Tanaka spikes the ball against North Saint Paul. Photo by Jon Laqua. Champlin Park reached the Section 5 title game again, but this time the Rebels won it.